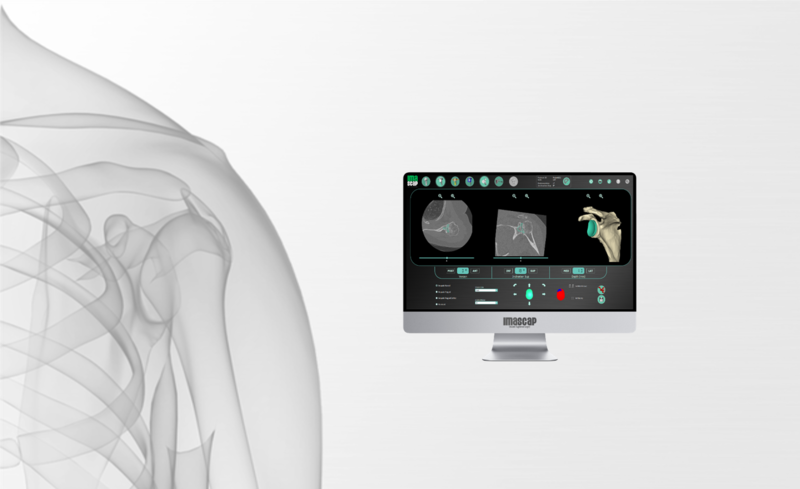 Glenosys is a preoperative planning software which allows the surgeon to simulate the position of a shoulder prosthesis with nothing more than CT image data of the patient. The surgeon can visualize the shoulder in 3D before the operation and can thus optimize the surgical plan adapted to the patient. The surgeon can refine his operative plan by choose the best implant for the patient, from a range of possibilities. The surgeon can simulate the ideal surgical plan without risk to the patient. The surgical guide them translates the virtual surgery plan into the operating room the day of surgery. The surgeon can perform the planning is just a few minutes due to the simple and intuitive interface, developed in close collaboration with top surgeons in the field. The surgeon is in complete control of the planning, from the input of images all the way to the ordering of the patient specific surgical guide.